I am so thrilled to be offering these finely crafted gemstone skull cuff bracelets to you! Jewelry for us priestesses, energy workers, Goddesses, and magicians is not simply a matter of accessorizing. You all know I believe in sacred adornment – in the process of choosing each piece of crystal jewelry with care and intention. These choices matter. Because when we wear jewelry, we invoke the elements and metaphysical energies of the stones with which we choose to adorn ourselves. 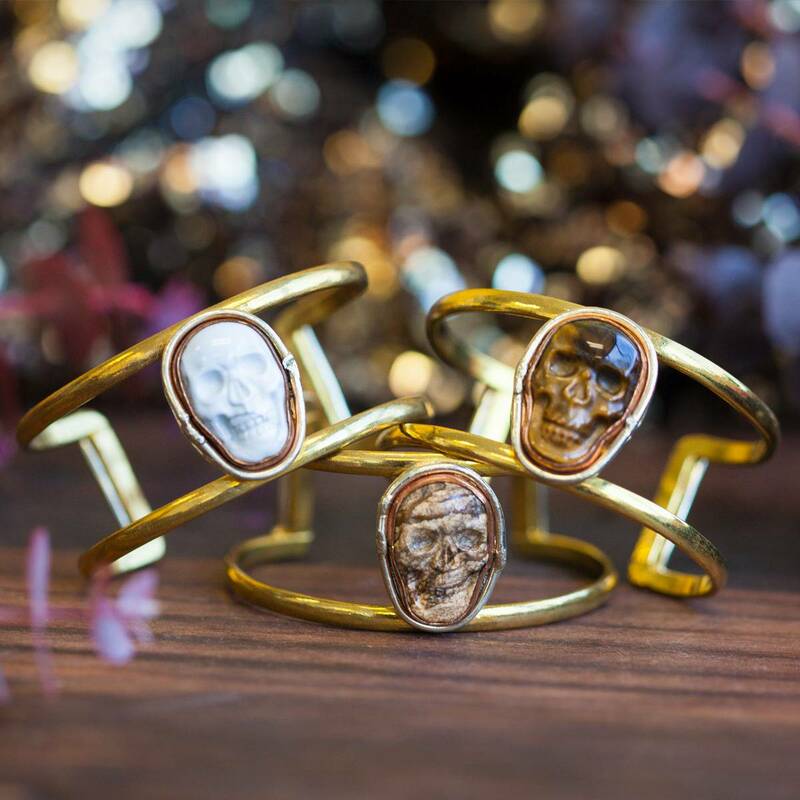 These gemstone skull cuff bracelets are beautiful, but beyond their beauty, they carry meaning and energy. I have three types to offer you, picture jasper, tiger’s eye, and howlite. Picture jasper is the stone of creative visualization. It can help you see the bigger picture. 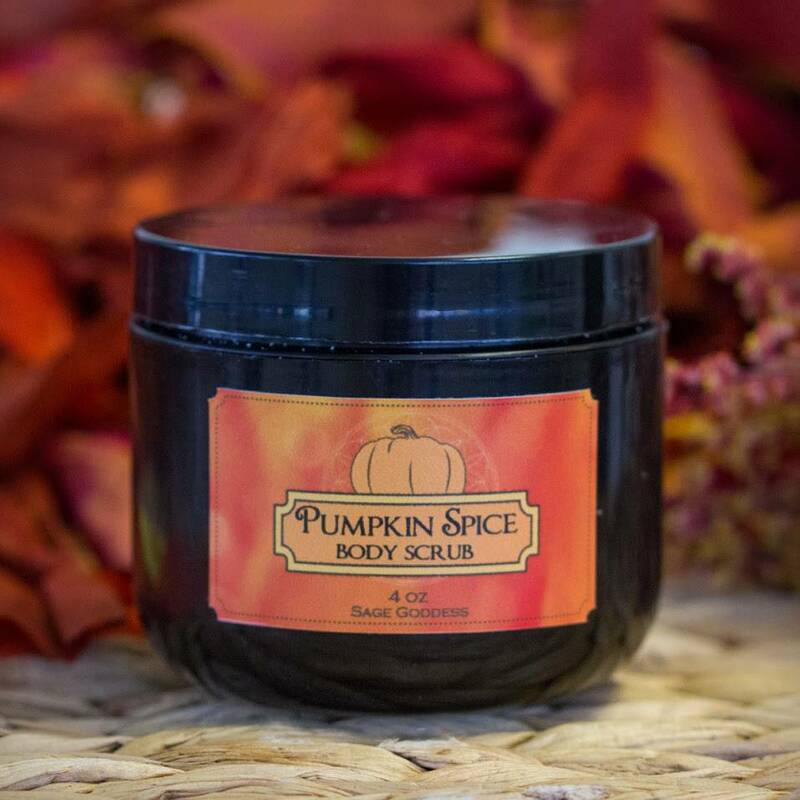 It motivates, inspires, and boosts immune function. Picture jasper works primarily to stimulate the Sacral and Crown Chakras during spiritual work. Tiger’s eye is different. 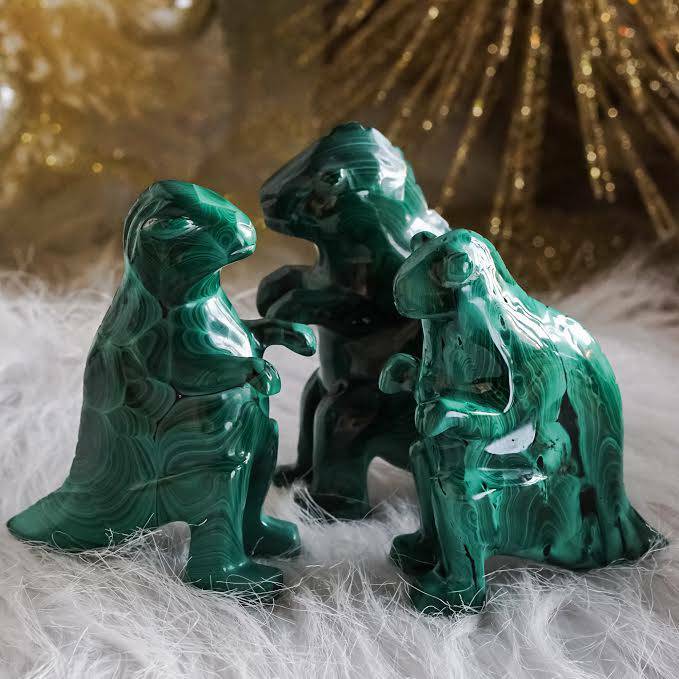 The great protector and bringer of wisdom, this stone helps you strategize, plan, and prepare for changes in life. It is the stone of the goddess Athena and you will feel more powerful when in its presence. A grounding force, Tiger’s eye works to activate the lower chakras during your spiritual work. Howlite is the stress relief stone that encourages you to let it all go, and release any stuck energies. A harmonizer, howlite also calls in partnerships, alliances, and friendships to support you. A stone of higher vibrations, howlite is excellent for stimulating the higher chakras. As with any metaphysical work, remember the magic happens during the journey. There is no right or wrong way to do any of it. 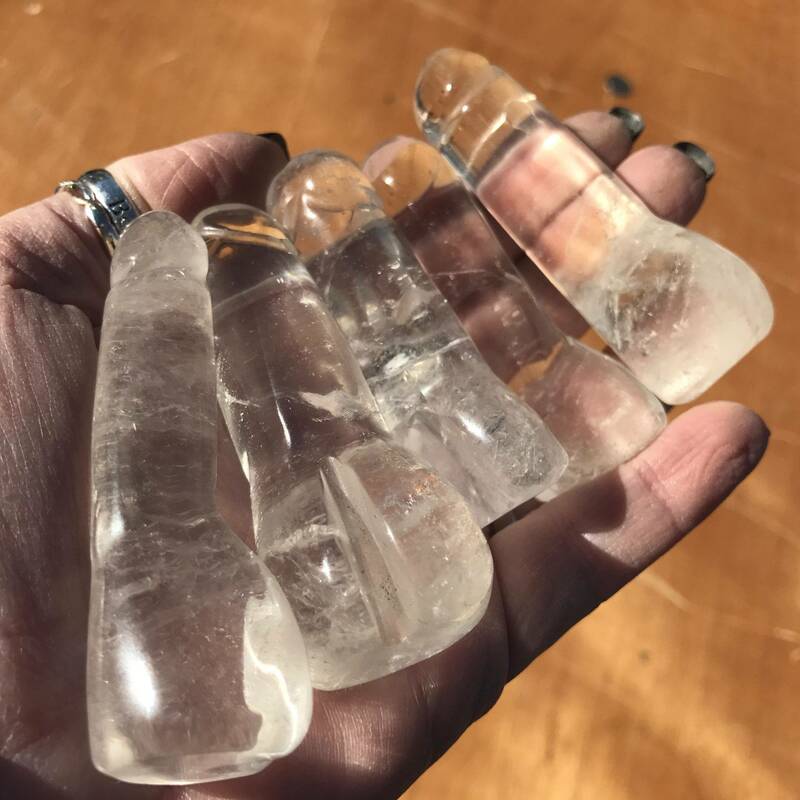 Of course, you want to honor traditional protection and clearing work, especially with stones, but don’t get trapped in the worry of whether or not you’ve chosen the right crystal jewelry for your day. Use the drop-down menu to choose the bracelet that calls to you, or why not expand your horizons, and go for all three. This listing is for one (1) metallic gemstone skull cuff bracelet. Please choose the bracelet that resonates with you from the drop-down menu above. Yours will arrive lovingly parceled along with a single leaf of white sage and a card describing the properties of the stone.